For a managed service provider (MSP), providing the most exceptional IT services to clients takes the first priority. However, sales are just as important as your services, and should not slip to the bottom of your priority list. There’s a common formula that many business owners use after a sales meeting in which a sales forecast is given: “Whatever the forecast, cut that by 50% and then subtract 20%.” I find that we do this very often because we don’t trust the numbers given by our sales forecasters. Most of the time, we wonder how accurate the numbers are, and that’s where the formula comes in—to keep us on the safe side. It seems that this is the quandary that every sales and service organization is suffering from, regardless of the industry they are in. From my experience, an MSP company is not an exception to this point. As a sales professional for years, I have realized that the root of the problem is we have different types of people in the sales department: those who are proactive and those who are reactive. Proactive people tend to produce an honest forecast, which we can trust, and often come close to their forecast in the end. On the other hand, the reactive ones don’t seem to put their best effort in their work, and usually give us numbers that are inflated, which explains why we always raise questions about the accuracy of the forecast. Now that we have isolated the problem, let’s look for a sound resolution. For an MSP, recognizing proactive and reactive people in your sales team is the first important thing you can do to fix the root of the problem. The reactive ones are those who are less likely to take the initiative. Instead of keeping an eye out for an opportunity or a hidden issue throughout the sales cycle, they wait for the customer to reach out and respond once the customer has initiated contact. More importantly, they can be very indifferent to their forecast and often blow up the numbers and bloviate to look good in the weekly sales meetings. This reactive mindset has the biggest negative impact during the early stages, especially when dealing with account management. Sadly, I find that this type of salesperson is very common in most companies. Even though this does not necessarily do any harm to your organization as a whole, chances are it will eventually slow the organic growth of your existing base. The proactive ones, on the other hand, are people whose working style is completely opposite to that of the reactive people. If you spend time observing your sales team, you will soon find that in most cases, those with the most accurate forecast are very proactive. These people will show you that they have their finger on the pulse of all opportunities and are aware of any possible issues. When selling products, they’re not waiting until they receive a call from a prospect, but are proactively reaching out to all potential customers. It’s not unusual to see them in constant contact, even multiple times per week, throughout the sales cycle. Above all, people who are proactive feel comfortable communicating their forecast, no matter how good or bad the numbers are. They would rather give you the truth, or a conservative forecast than try to exaggerate the numbers and fail to meet or exceed those numbers in the end. It shouldn’t be hard to tell the proactive sales people from the reactive ones, or to recognize who are performing proactively. Over a period of time, usually within a quarter, you will know who is a solid forecaster and who is not. First of all, when making a forecasting evaluation, an account manager or a sales representative has to ask what the last course of action and contact will be. Secondly, the team should be aware if there are any outstanding issues or questions that are left unanswered. If that is the case, take time to think about a resolution or what to do to accelerate and complete the task. Before closing a deal, it’s best for a sales representative to confirm the closing date at least three times: voice, mail, voice. Importantly, as most of us now have a CRM system, make sure your team uses it to track every interaction. I personally have my CRM open every day to track my calls and look back to see when was the last time I reached out to my prospects. Last, but not least, as an owner of the business, consider rewarding the person who comes close to or exceeds his forecasts. Instead of rewarding those who have quick reactions and responses in many cases, why not reward those who proactively reach out? By doing this, you will motivate people to adjust their performance and become more proactive. 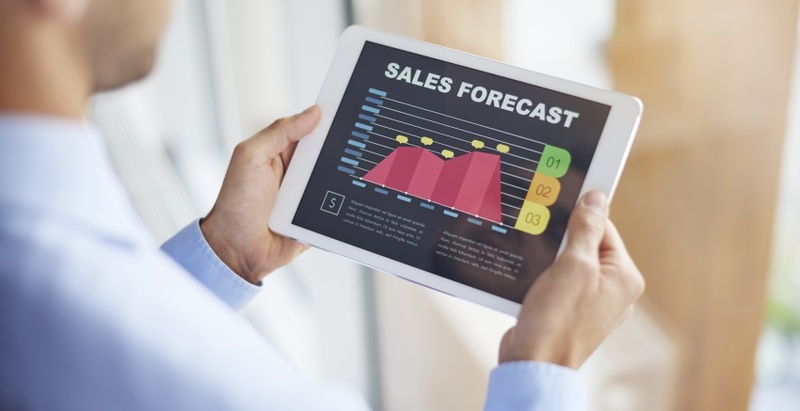 If a sales team that consists of reactive people does very little to improve the future of sales and doesn’t contribute to the growth of your organization, why not encourage everyone in the team to take the lead and become productive, proactive forecasters? As an MSP, it’s important for you to keep this in mind because the more proactive your sales team is, the more time you save for your IT service improvement. Try to apply these simple ideas to your organization and make sure everyone is prepared to be challenged on their forecast. Sooner or later, you will find that your team produces more effective work and that the forecasts will become much tighter. In the end, you will realize that this is a win-win game for both your company and your customers.